Bowen Li focuses his practice on patent prosecution across a wide spectrum of technologies, including cable televisions, computer networks, telecommunication devices, and semiconductor devices. He has represented various innovative companies in obtaining patent coverage that suits their business goals. Mr. Li has experience in numerous aspects of patent prosecution, including meeting with inventors, formulating prosecution strategies, drafting patent applications, and responding to office actions. 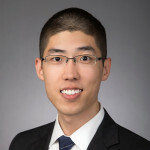 While in law school, Mr. Li worked at the U.S. Court of Appeals for the Federal Circuit and the Court of Appeals of Maryland as a judicial intern, preparing legal memoranda and conducting legal research on patent and procedural issues. Prior to joining Banner & Witcoff, Ltd., Mr. Li worked at an intellectual property law firm for two years, assisting attorneys with patent prosecution and patentability and invalidity searches. While working there, Mr. Li gained technical experience in digital and analog circuits, medical devices, cloud computing systems, telecommunication devices, and radar systems. Mr. Li earned his B.S. in Electrical Engineering from Shanghai Jiao Tong University, where he graduated as an Outstanding Graduate. He earned his J.D., with high honors, from the George Washington University Law School. At graduation, Mr. Li was awarded the ABA-Bloomberg BNA Award for Excellence in the Study of Intellectual Property Law. Mr. Li practices in the Washington, D.C., office of Banner & Witcoff, Ltd.